When it comes to health and wellbeing in older age, over-60s are repeatedly being told to introduce regular exercise to their daily routine. From weight loss to boosting the immune system and even reducing the risk of chronic diseases, exercise has an array of benefits for our health. 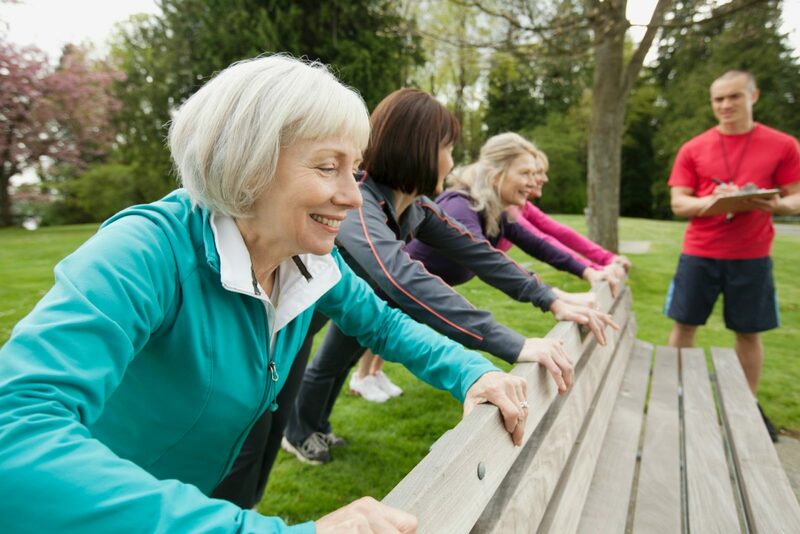 One type of exercise that is particularly pertinent for over-60s to maintain strong bones and healthy muscles and tendons is weight-bearing training. In simple terms, weight-bearing training is strength or resistance exercise that forces your weight to bear down towards the ground. We do many simple weight-bearing exercises every day, such as walking, but for training purposes we can increase the difficulty by adding weights, resistance and repetition. Some of the most common types of weight-bearing exercises are squats, lunges and push-ups, all of which require different parts of the body to bear our weight as we lower towards the ground and push back up again. Other higher impact weight-bearing exercises include running, high-impact aerobics, skipping and dancing. 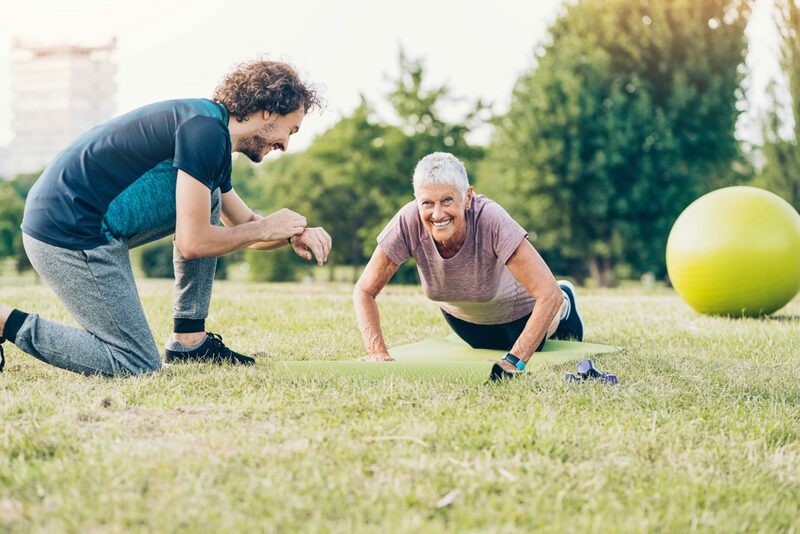 These types of exercises help keep our bodies strong as we age and help maintain suppleness and strength in our muscles and bones, which weaken naturally with age. They are particularly useful to know as they can be done at home or at the gym and can be easily adapted over time to increase the difficulty as you get stronger. Andrew Wynd, APA Sports Physiotherapist at Balwyn Sports and Physiotherapy Centre, says even 10 minutes of weight-bearing training a few times a week can make all the difference. Still, a problem stopping many over-60s from exercising is pain, injury and disability. A physiotherapist is usually the best port of call here as they can work to reduce the pain and increase mobility to make exercise possible again. Wynd has provided five simple weight-bearing exercises over-60s can try at home or at the gym. Aim for two to four sets of each exercise and between five to 13 repetitions per set. For best results, do these exercises at least three times a week. Start this exercise on your stomach with your hands flat on the ground underneath your shoulders. Keeping the palms of your hands on the floor, push yourself up and ensure your body forms a straight line from your head to your knees. Bend the arms back down to lower your chest towards the ground and repeat. For an easier version, keep your knees on the ground while you push yourself up. Wynd suggests resting for one minute between sets. For people who find it difficult to get down on the floor for regular push-ups, wall push-ups are also a great form of weight-bearing exercise. Face a wall and stand about 45 centimetres away from it. Next, place your hands on the wall at shoulder level and keeping your shoulders down, slowly bend the elbows to bring your face and forearms to the wall. If you want to increase the intensity, try using on arm at a time. There are a number of useful weight-bearing exercises that can be completed with an exercise ball and a wall. The first is a wall squat, with the aim of bending the knees to 90 degrees and pushing yourself back up again. Simply place the ball between your lower back and the wall with your feet hip-width apart about 40cm in front of the wall. 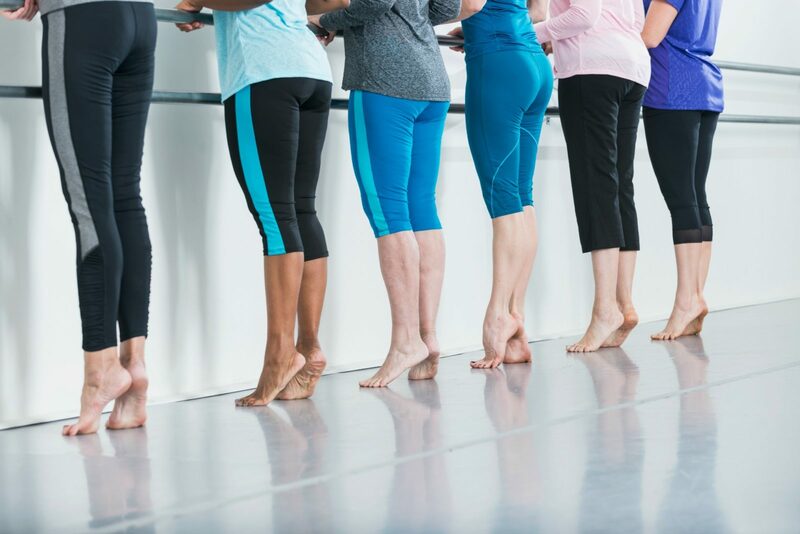 Gradually bend your knees to 90 degrees, making sure your knees stay in line with the top of your toes. Then return to the standing position. Wall lunges with a ball is another great exercise. Begin by placing the ball between your back and the wall and stand with one leg in front of another in a split stance. Lower down to create a 90 degree angle at the knee. Just like you did with the squats, make sure your knee stays in line with the top of your toes. Press through the heel of the front foot and return to the original position. Exercise balls are particularly good for building core strength and improving balance. One of the simplest ways to do this is sitting on a ball with your feet on the floor and your back straight. Ensure abdominal breathing remains steading and slowly bounce on the ball with your back remaining straight. Similarly, stabilisation bouncing is another option and works by maintaining steady abdominal breathing while bouncing on the ball and lifting one arm and the opposite leg. Repeat, but alternate the routine with the other arms and legs. “The ball adds an impulse that turns on the core muscles, which is critical for spinal health,” Wynd says. Another simple weight-bearing exercise for beginners is to hold onto a railing and raise onto your tippy-toes and back down again. Come back down fast and allow the heels to contact the ground with a little force. This simple exercise actually stimulates the bones and tendon right up the legs and into the back. Of course, if you have a foot injury it’s best to lower back down slowly and gently. What kind of exercise do you do? Have you ever tried weight-bearing exercises before?